The company has invested the most effort in the area of quality and in focusing on clients and their needs. 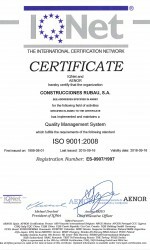 To this end, a total quality system was introduced in the year 2000, in complete accord with the EFQM (European Foundation for Quality Management) model. This has enabled the implementation of systems for continuous improvement in the organisation and the structuring of processes with demonstrated effectiveness and efficiency. 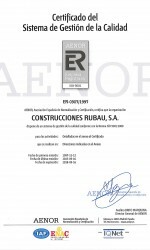 Rubau is certified under ISO Standard 9001, and was the first Spanish constructor to receive this certification. 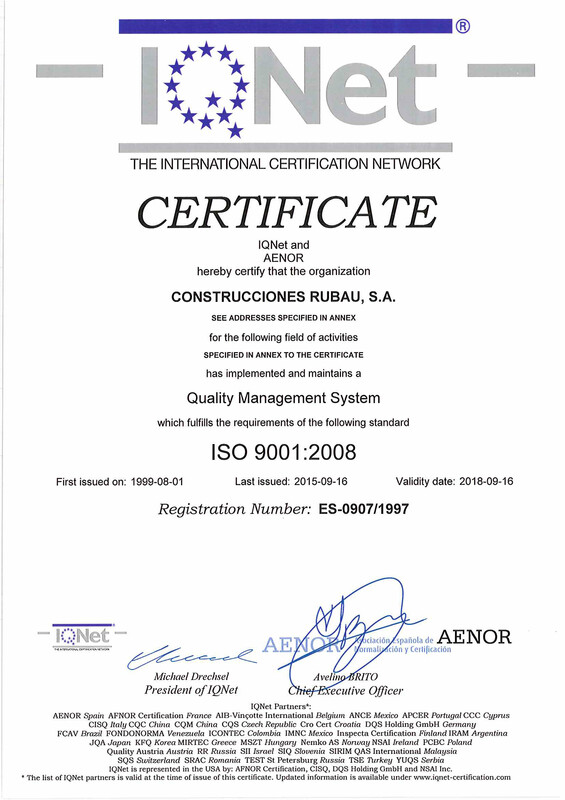 The most important systems in the area of management are quality control systems, (the CPM System, widely recognised in Spain) and the cost control system. Moreover, the company’s organisation system is designed to not only satisfy external clients but also internal ones, enabling the development of high-level human resource programmes for the professional and personal development of members of the organisation through important processes of training and information. 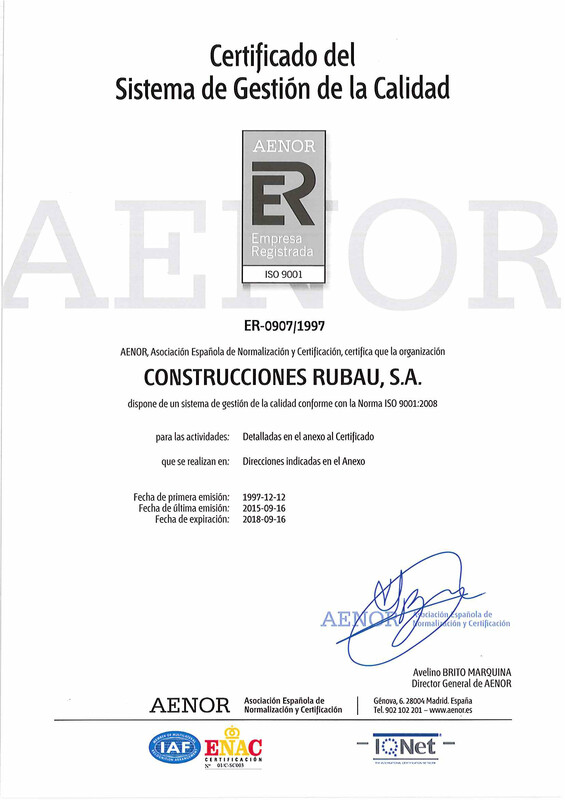 As a result of the company’s significant commitment to quality, in the year 2000 Rubau received the Quality Award from the Government of Catalonia, the most important prize in this field awarded in Catalonia. Reassure clients that the company has systems and organisational structures in place that allow it to attain the required level of quality through an approach based on maintaining our commitment to continuous improvement and legal compliance. Ensure that quality is synonymous with the company’s corporate image, in both national and international projects. This is a fundamental condition for the development of the brand and the attainment of its objectives. Consolidate the company’s presence abroad, in countries such as Mexico, Colombia, Peru and Poland. Guarantee all our personnel the level of training necessary to carry out their professional activities. Obtain a high level of client satisfaction, combining the fulfilment of their requirements, and the analysis of their needs and the expectations of the relevant stakeholders.